Bea’s bedroom—designed by Jeizele delos Reyes-Go—has a timeless, elegant style updated with ultra-modern pieces like metallic accessories. An accent wall highlights the queen-sized bed with a classic wingback headboard. Our favorite pieces? Her tufted bench and the super comfy area rug! The centerpiece of Heart's room is a gorgeous walnut-stained four-poster bed with intricate carvings. The bed is flanked by a pair of identical side tables adorned with matching lamps. Across her bed is a vanity area with a Tres Marias (three-way) mirror that her dad gave her. Carla's soft blue walls give the room a calm and tranquil feel. We love the custom-made white furniture pieces—like the bed, a pair of side tables, a floor lamp, and a tufted chaise lounge. 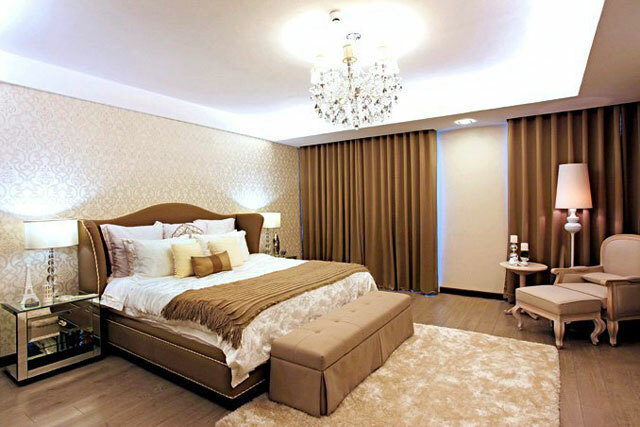 Designed by interior designers Ivy and Cynthia Almario, the actress' room is a mix of old and new. 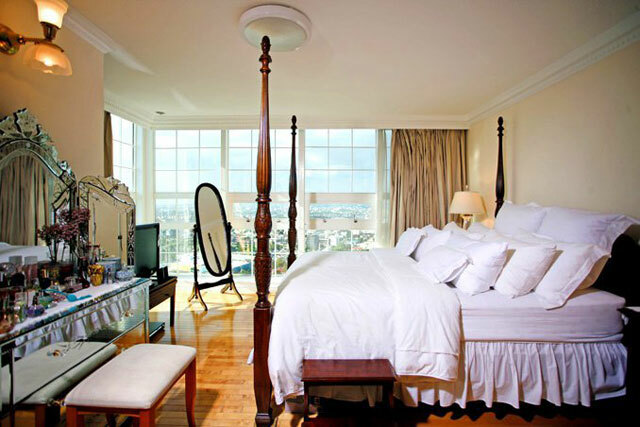 Anne sleeps in a custom-made canopy bed with sheer organza curtains, like a true princess. Near the bed is a window seat covered in stuffed toys and throw pillows. Want to see more celeb homes? Check out RealLiving.com.ph!